I wanted to read this book to Brooke as soon as I heard the title. The message of people helping people and that good people exist everywhere is so important. Look, I know I am a pretty upbeat person and try to focus on the positives in life but it was a long and hard road to get here. I feel I have earned my cheerfulness and laugh when people comment about it with pride. In some ways I feel like I have paved a (hopefully) nicer path for my daughter so that she feels empowered and filled with compassion and love for others. While I want her to know when to turn away from a not-so-good person when it is for the best; a concept has not always been so clear to me (yeah…sometimes you have to get that restraining order against a crazy ex…) that there are many, many excellent people out there that outweigh the bad. We should not let a bad apple spoil the bunch because when you lose your ‘heart’ you lose some humanity. There really are kind people everywhere and that’s important to understand to teach a sense of gratitude and consideration at home. Good People Everywhere is a very soothing book of being mindful and caring to others because, more often than not, the favor is returned. It is easy to get caught up in our media coverage and downright depressing daily news reports, but the truth is there are far more positive things that happen that never touch the press. Why? I guess being positive does not sell. But if you do not concentrate on negativity in life, you open up a world that fosters kindness and teamwork. The book’s words reflect comfort and easy reminders of the normal good we encounter all the time. 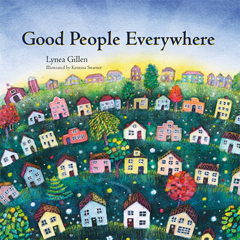 I was not surprised to read that the author, Lynea Gillen, was a teacher and counselor for over thirty years and now in private practice. Her advocacy of positive thoughts is a story of empowerment and we, as caring people, can have a huge influence on our own lives and the lives of all the good people everywhere. Great message! Check it out! 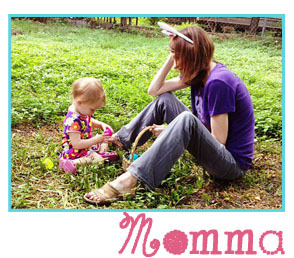 If you love this book, you must check out Lynea’s Mindful Moments Cards and Yoga Calm for Children.